Colours shown may differ from the actual shade due to varying screen resolutions on computers and mobile devices. 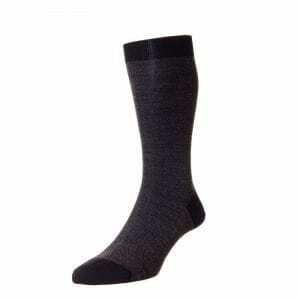 The cashmere fibre comes from a hardy, mountain dwelling breed of goat that has adapted to the harsh environments and extreme temperatures of the Gobi Desert. In order to survive, the goats develop wonderfully thick coats made up of a coarse outer guard and a fine soft undercoat. Using the finest fibre from the white, downy undercoat of the goat that runs from the throat to the belly, it takes fibre from three goats to make a jumper. 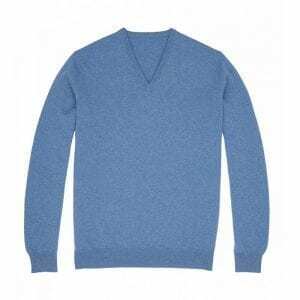 Traditionally, farmers have collected cashmere fibre by ceremonially combing their goats in the spring. Combing is still widely used today, alongside some farmers who prefer shearing. The fibre is yarn spun, dyed and blended in Scotland by the world’s leading yarn spinners that have been manufacturing here for over 140 years. 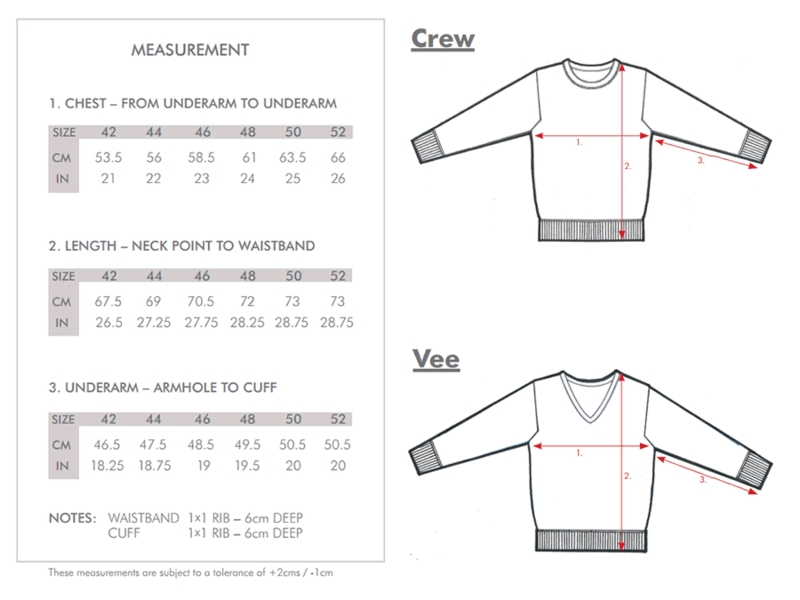 There are 27 processes in the making of a jumper. 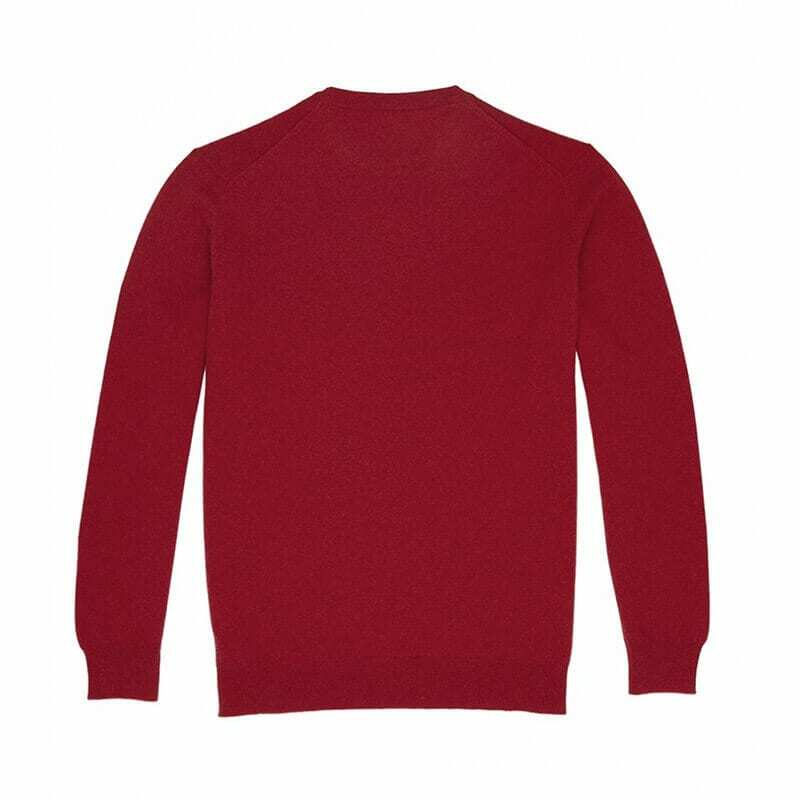 The garment is knitted in four fully fashioned panels on flat bed and V bed knitting machines before being hand linked and finished to a detailed specification. 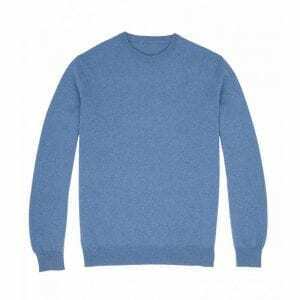 A fully fashioned knitting machine’s needles add or drop stitches to create custom two-dimensional shapes appropriate to the desired finished garment structure. The garment is washed and steam dried before its first press and this gives it its shape. Trimmings are then added before the final press. 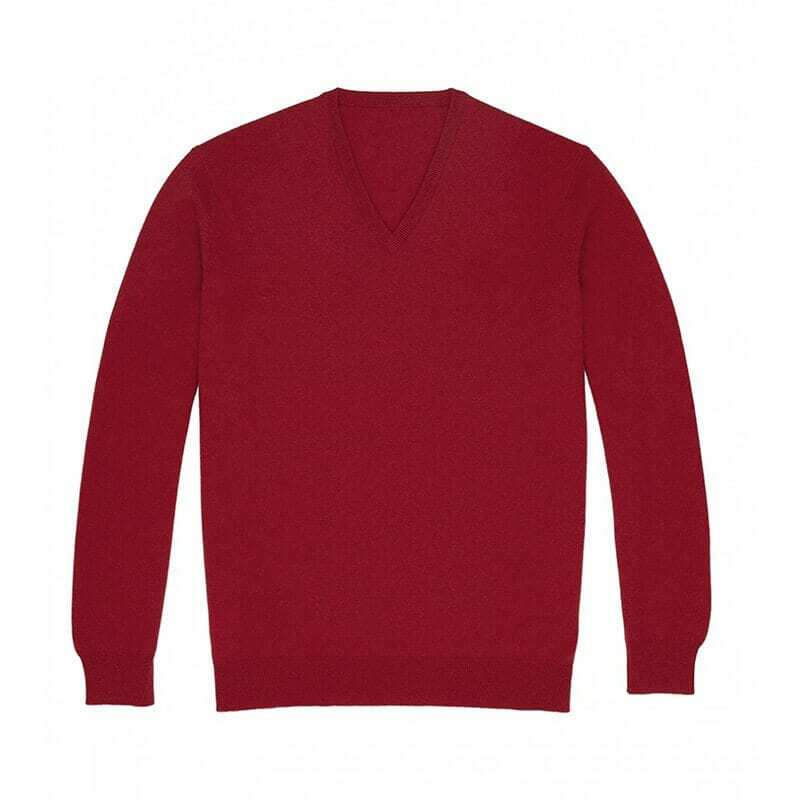 The insulating capacity of cashmere is approximately three times that of normal sheep’s wool. 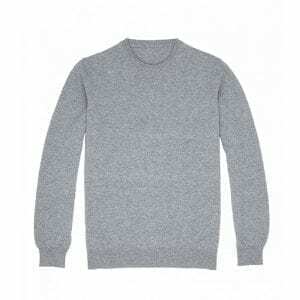 Hence a cashmere jumper is very soft, lightweight and luxurious to wear. 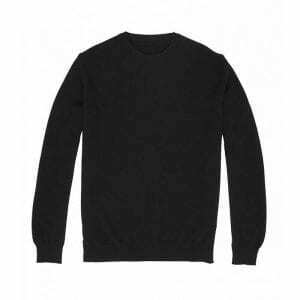 Our cashmere jumpers are made in a classic contemporary fit suited for modern living. All stock sold subject to availability. Our standard delivery charge within the United Kingdom is £6.00. Deliveries will always be made using Royal Mail unless otherwise specified or requested. We aim to despatch all in stock items within 5 – 14 working days but during busy periods delivery may take longer. Please advise us if your order is required for a particular date. If the Royal Mail or other carrier is unable to complete delivery and the goods are returned to us for any reason, you will be responsible for any additional redelivery charges. Ownership of the goods will pass to you once they have been delivered and they are then held at your own risk and we will not be liable for their loss or destruction. We cannot be held responsible for any loss or damage or delay in delivery due to circumstances beyond our control including but without limitation industrial disputes, strikes, breakdown of Information Technology systems, judicial action, acts or omissions of the purchaser, failure or delay in transportation, wars or riots, flood, fire, explosion or accident. Please be aware that any import or customs duties raised against your goods during delivery are the responsibility of the customer and not Cuyler & Davy. We cannot be held accountable for delays in customs clearance.